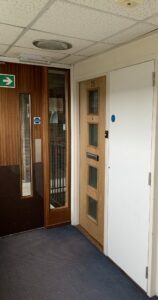 Posted February 8th, 2019 | Fire doors. Soundcraft has completed a major refurbishment project on four residential apartment blocks in Bromley. 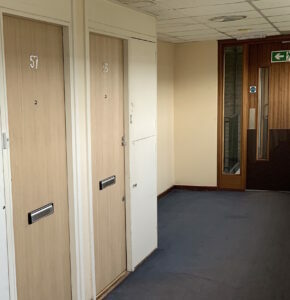 Appointed by chartered building company T Gunning Ltd for the replacement of existing fire-rated doors within the Fair Acres properties, Soundcraft installed 140 FD30 entrance doors within existing frames, together with 151 adjacent FD30 fire-rated storage cupboard doors. 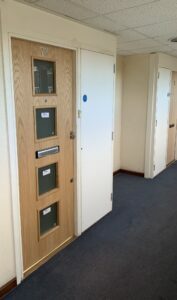 Additional priorities for the Soundcraft team on site also incorporated security ironmongery, intumescent strips and drop seals.